Kingdom Hearts III, why has it taken so long? Just as movies based on video games are usually dead on arrival, video games inspired by movies rarely hit their target. One of the most fascinating exceptions, though, would have to be 2002’s Kingdom Hearts. A crossover between some of Walt Disney’s most beloved animated films with a few Final Fantasy characters thrown in for good measure, this action RPG seemed destined to fail. Yet, the creators turned in a surprisingly fun, emotional, and epic gaming experience unlike any other. In 2005, Square Enix upped the ante with Kingdom Hearts II. The game not only transported players to new animated realms like the Land of Dragons from Mulan and the Pride Lands from The Lion King, but worlds based on live-action movies like Tron and Pirates of the Caribbean. Although our heroes were left on a happy note that could’ve served as an ending for the franchise, Kingdom Hearts III was teased in a post-credits scene. Over a decade later, we’ve gotten several spinoff games on various systems, not to mention a few compilations. Yet, still no Kingdom Hearts III! 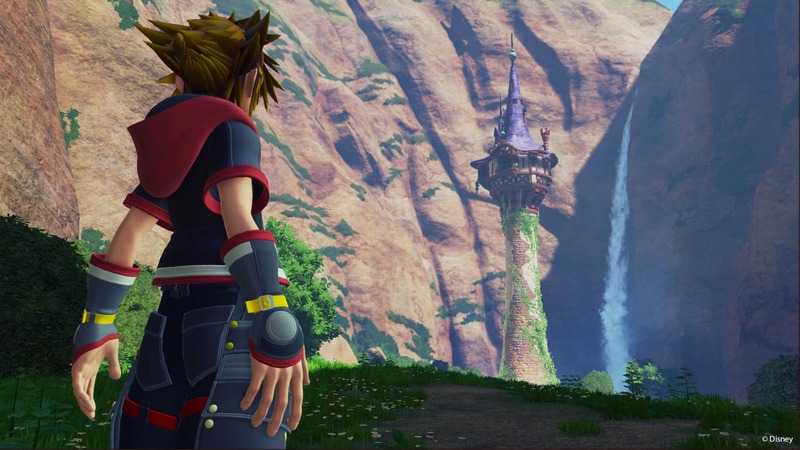 Just when it looked like the game was destined to forever remain in limbo with Half-Life 3, some mind-blowing new footage of Kingdom Hearts III was unveiled at D23 Expo 2017. It was also announced that the long-awaited sequel would hit store shelves in 2018. While that release date could still get pushed back, it’s evident that the project is finally moving forward. 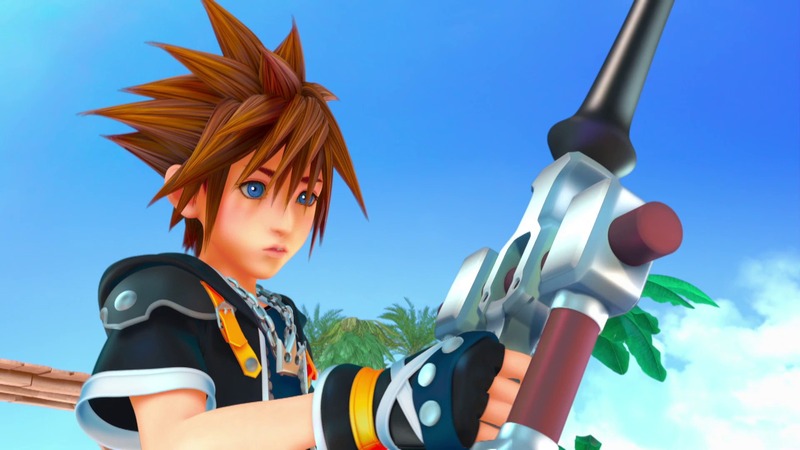 Why has it taken so long for us to get Kingdom Hearts III, though? It’s not like the developers didn’t possess the time or resources, having released so many other Kingdom Hearts games. So why the wait? While no official report has been released, it’s safe to assume that the delay for Kingdom Hearts III can be linked to Disney’s downfall in the early 2000s and their recent comeback. When the original Kingdom Hearts first came out, Disney’s animated features weren’t doing so hot. With exception to Lilo & Stitch, it was hard to come across a Disney flick that was both a critical and financial hit. Since Disney had given us a plethora of classics in the past, however, there was more than enough material for Kingdom Hearts to cover. After Kingdom Hearts II, though, the developers had seemingly exhausted all of Disney’s most cherished properties. That’s not to say there were no more good Disney movies to explore. For example, we didn’t get to see world’s based on Snow White, Cinderella, or Sleeping Beauty until 2010’s Birth by Sleep. Of course all three of those worlds shared an undeniable resemble to the Beast’s Castle and Hollow Bastion, giving off a serious been there, done that vibe. This made them more appropriate for a handheld game apposed to a console title like Kingdom Hearts III. It’s like comparing a Disney theatrical release to a Disney straight-to-video release. We don’t expect much from a straight-to-video movie, but our expectations are always peaked for Disney’s big screen entertainment. Well, let’s not forget that Disney and Pixar were on the verge of parting ways in 2005, which could explain why Sora never met up with Woody and Buzz Lightyear. However, two wonderful things happened to the Mouse House in 2006. For starters, they officially bought Pixar. Secondly, John Lasseter became the chief creative officer for both Pixar and Disney. In the years that followed, we not only got a slew of Pixar classics (Ratatouille, WALL-E, Up), but a new golden age of Disney animation. As Walt Disney Feature Animation became Walt Disney Animation Studios in 2007, their animated films began to see a surge of quality. They started off with solid successes like Meet the Robinsons, Bolt, and The Princess and the Frog. 2010’s Tangled in particular cemented the company’s return to its former glory. Then in 2013, we were given Frozen, which not only became the highest-grossing animated movie of all time, but also the first non-Pixar Disney movie to win Best Animated Feature. With that, it was apparent that Disney was back on top of the world and Kingdom Hearts III could finally happen. In addition to some of the aforementioned films, many of Disney’s recent animated classics seem perfectly suited for the Kingdom Hearts universe. Just imagine setting sail with Moana or solving a mystery in Zootopia. Heck, Wreck-It Ralph is actually about characters that live inside arcade games. This material practically writes itself. The possibilities don’t end there, however. Since Kingdom Hearts II came out, the Disney family has grown much larger. In addition to Pixar, they also have the rights to Marvel and Star Wars. So theoretically, Sora, Donald, and Goofy could team up with the Avengers and the Rebels. On top of that, Disney’s animated TV shows have entered a new renaissance with the likes of Phineas and Ferb, Gravity Falls, Star vs. the Forces of Evil, and the DuckTales revival. Even some Disney films that weren’t successes upon release (Atlantis, Treasure Planet) have found cult followings and could work wonderfully from a video game perspective. To think, ten years ago, Kingdom Hearts III seemed so limited in terms of content. Now, there’s no shortage of potential. Granted, a lot of this is based on speculation. 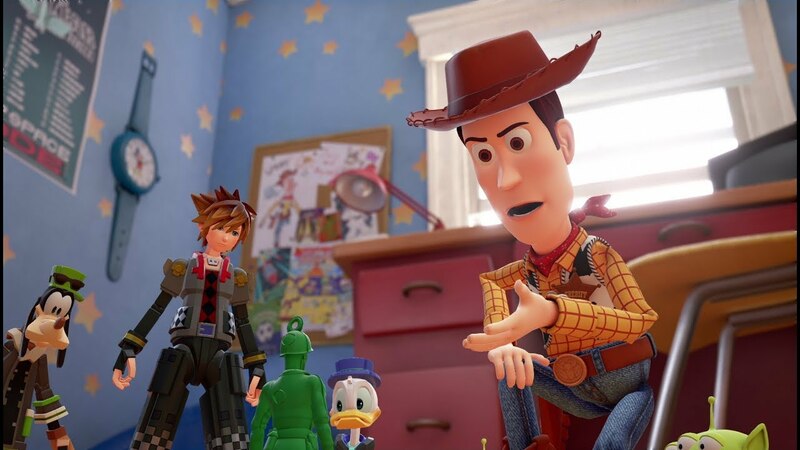 Only a few new destinations have been confirmed for Kingdom Hearts III so far: Corona from Tangled, San Fransokyo from Big Hero 6, and the world of Toy Story, finally bringing Pixar into the equation. 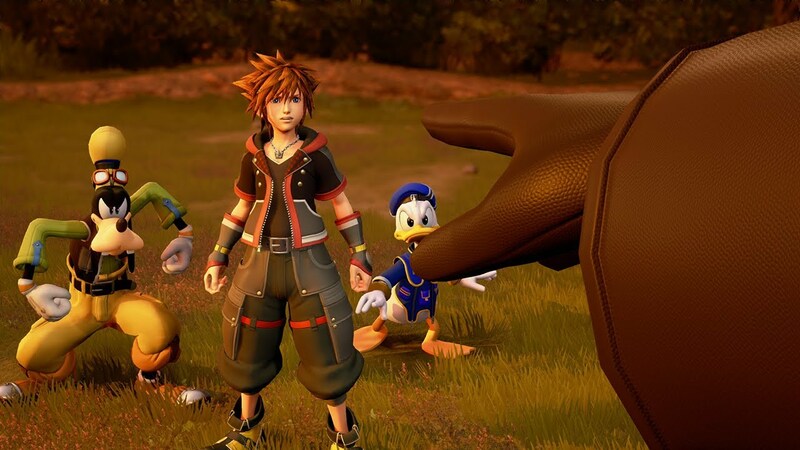 That being said, the purpose of this article isn’t just to contemplate how awesome Kingdom Hearts III could be, but to demonstrate how far Disney has come as of late. When Kingdom Hearts II came out, Disney was at its lowest point since The Black Cauldron bombed at the box office. Now with Kingdom Hearts III on the horizon, the company appears unstoppable. That doesn’t mean everything they’ve touch lately has been magic, but even when they’ve produced enormous duds (John Carter, The Lone Ranger), they’ve had another massive hit waiting around the corner. No matter how many roadblocks they hit, there’s not a doubt in my mind that Disney will always rebound with something special. Let’s just hope that we don’t have to wait until 2030 for Kingdom Heart IV. This entry was posted in Features on September 16, 2017 by Nick Spake. I’m really glad this article was made. Many people don’t seem to understand how hard it was to find content. Hopefully this will help people to see SE’s point of view.